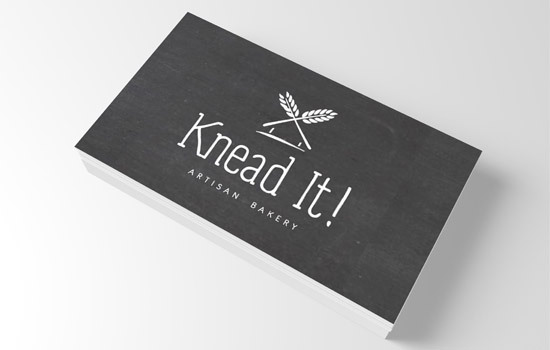 Local startup KneadIt Bakery needed* a logo to represent the artisan nature of their company. KneadIt! 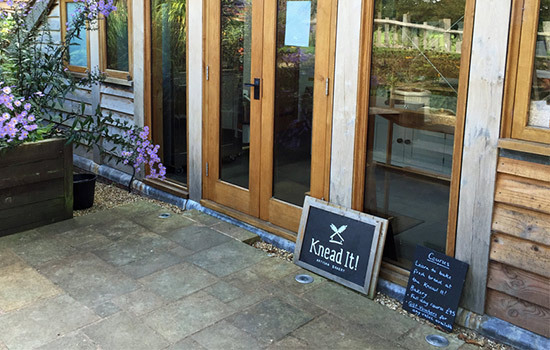 Bakery is a local artisan business that operates and bakes from a cottage nestled away in the countryside. Whilst at Bright White Space, I was commissioned to develop a new logo design and visual identity that would reflect the rustic nature of their business and connect with their homely base. The solution was to provide a hand drawn, chalkboard style icon which uses wheat to complete the roof of a cottage tying the two USPs together. The logo has been a great success (as has the expanding company) and has been utilised in many different ways. Originally designed to be featured on business cards and product labelling, Here they have found someone to sculpt the logo into a wonderful sign for the bakery.